Handbell Musicians of America is the national organization devoted to uniting people through the musical art of handbell and handchime ringing. As the principal voice for this medium we envision a community in which handbell musicians of every skill level realize their full potential through mentorship, education, and events. "The Cutting Edge in Music Education"
For over ten years, the creative efforts of Dan Goeller have been uplifting music ministries, congregations, and audiences across America. His numerous arrangements, compositions and orchestrations have been published by Word Music, LifeWay Music Group, Brentwood-Benson Music, Augsburg Fortress, Lilenas, and others. In addition to his published works, Dan has also worked on numerous recordings and several tours with artists including Amy Grant, Vince Gill, Michael W. Smith, CeCe Winans, Larnelle Harris, Point of Grace, Nickel Creek, and The Katinas. Dan’s newest project is the orchestration of Oscar Wilde’s Fairy Tale, The Selfish Giant. Non-profit educational organization, centered in New York City, with a global network of movement professionals. From research on how children learn in the classroom to a neurophysiology-based movement program for people with Parkinson's, Certified Movement Analysts are making a profound difference globally. 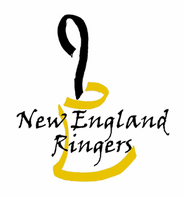 New England Ringers is a fifteen-member community handbell ensemble of highly energetic musicians from Connecticut, Massachusetts, New Hampshire, and Vermont, playing the most advanced level of handbell literature. Handbells are a visual art form, but what specifically can you do to add excitement and polish to your presentation? The Pikes Peak Ringers reveal their "secrets" for stunning visuals - simple movements and ideas that anyone can apply to make the music look as wonderful as it sounds. This DVD will take you through a process that will transform the look and communication of your choir.